Months of Inventory* (MOI) fell from over 16 months to just over 10 months for detached homes in March. Both attached homes and apartments also saw their MOI fall to 8 and 6.48 respectively. Apartment active listing volumes continue to rise while listing volumes for attached and detached homes remain fairly stable. 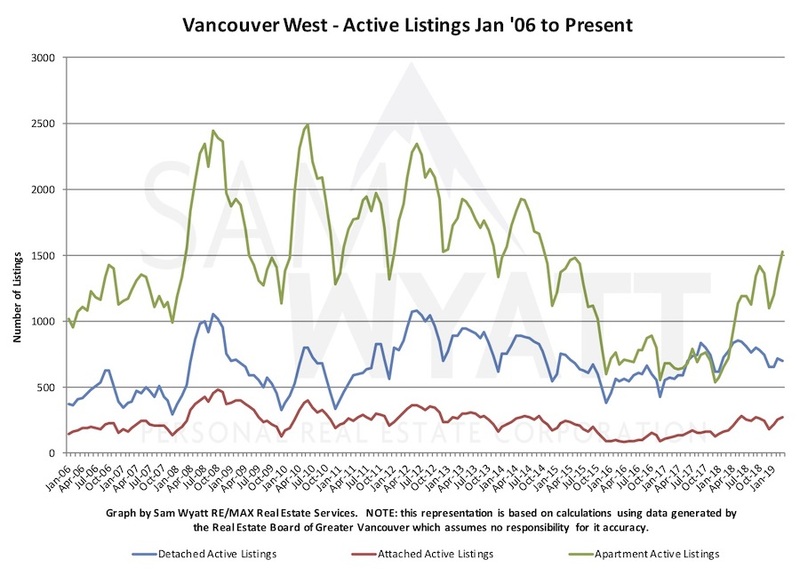 Active listings typically peak sometime between May and July. 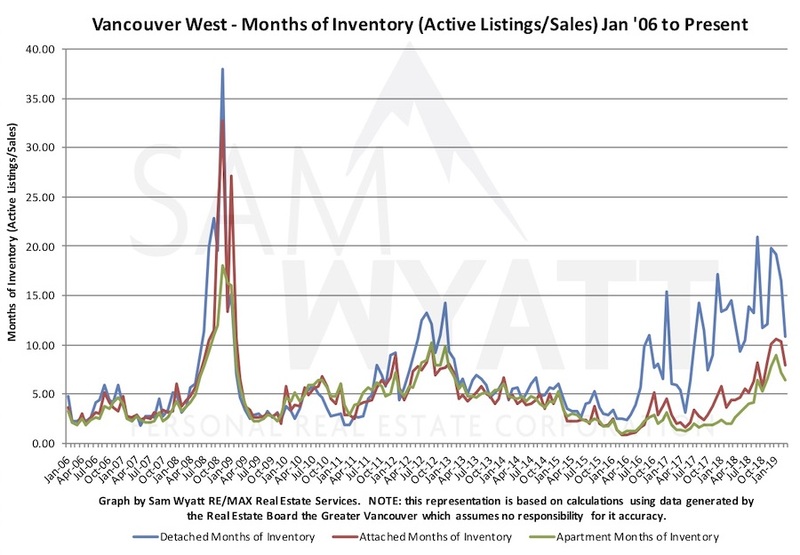 I suspect active listings will reach their zenith later this year as sales volumes remain muted. It is a great time to be a buyer - there is plenty to choose from. Sales volumes are trending strongly down but increased slightly in March. 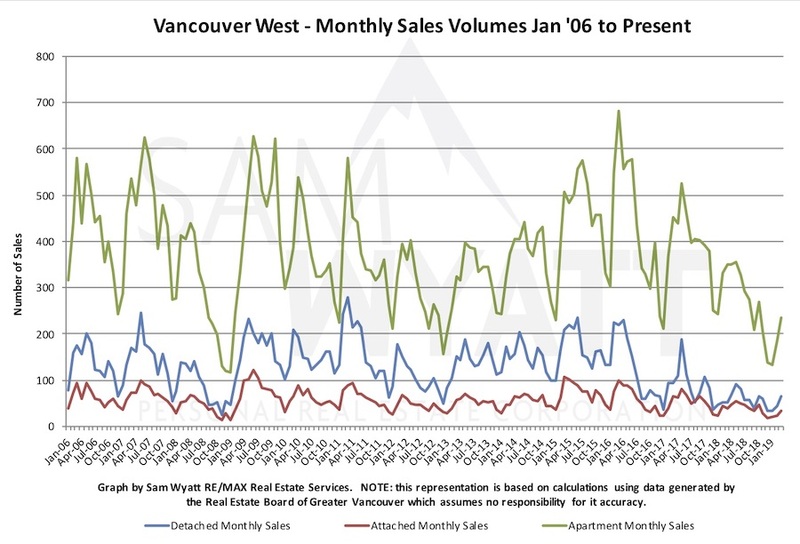 This seems like good news but bear in mind that March 2019 sales volumes for the Greater Vancouver area were the lowest they have been since 1986! It is no surprise that prices are continuing to fall. 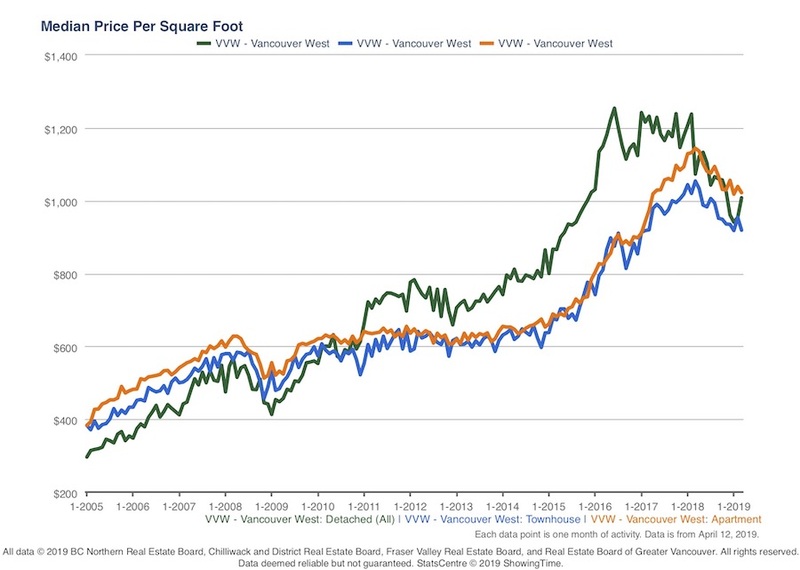 In March, Westside Vancouver townhome prices had the lowest median sale price per sq.ft. at $919 followed by houses at $1008 and apartments at $1022. 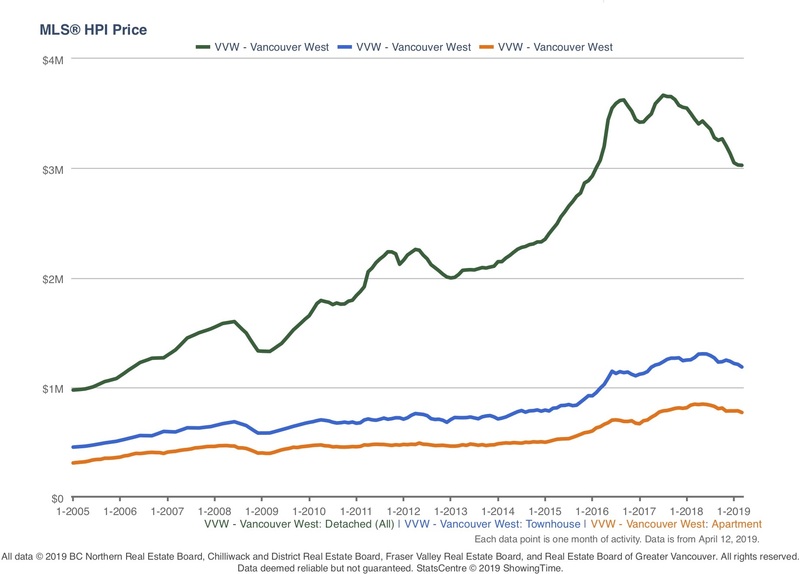 The Real Estate Board of Greater Vancouver's HPI shows a steady decline in prices since the summer of 2017. Based on the protracted elevated MOI numbers, we are likely to see them continue to fall for the next several months. It would be nice to be able to say that sales volumes and prices are likely to rise but it is just not probable based on the statistics. Smart pricing has been the success in my past couple of listings. With a down trending market, getting sold quickly is key.